A Philly author’s spiritually uplifting book teaches readers how to live life in the best possible way. This book teaches readers about choice and helps them make the right choices. What does life teach? Does everyone have the choice to live their life the way that they want to? What is a life worth living and how can one live such a life? 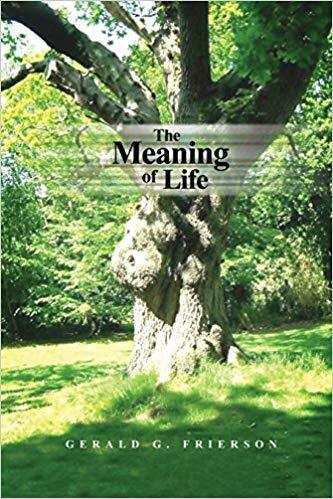 Gerald G. Frierson reveals the answers in his aptly-titled Christian living guide “The Meaning of Life” (RoseDog; 2015). “The ultimate goal of ‘The Meaning of Life’ is to help everyone who reads it discover their purpose in life,” said the author about his book. “‘The Meaning of Life’ is a true story, not necessarily because it’s about true things but because of what it teaches you about life. The author delivers a message that will strike a familiar chord with Christian readers. His message is that everyone should live to teach others to be good, to strive to be the best they can be and to let go and follow God. According to the author, an individual has no reason to live if their life has no meaning, and that God should be the reason they live. Living for God, earning His forgiveness and teaching others to be good people are ways that give one a purpose in life and, above all, give their life meaning. Achieve a true purpose in life. Order Gerald G. Frierson’s “The Meaning of Life” today through Amazon and Barnes & Noble. This Christian living guide is lined up for public display at the upcoming Los Angeles Times Festival of Books on April 13-24, 2019 at the University of Southern California in Los Angeles, CA. Gerald G. Frierson has a Bachelor of Arts degree in Criminal Justice from Temple University. He also graduated from the PJA paralegal school. It is during this education that he developed his unique and clever writing style. This is a life’s work for Mr. Frierson and his first book.